Francine's Friends: I Wear Pink and Francine's Friends! I Wear Pink and Francine's Friends! 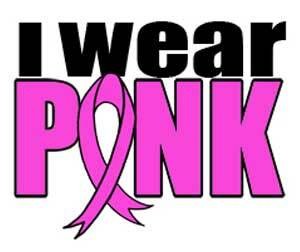 Don't miss "I wear PINK" on the Square - taking place between 11:00 AM and 2:00 PM at Freimann Square on Friday, September 21st. INC News Center and Insight will broadcast live at Freimann Square beginning at noon, interviewing Francine's Friends board president Sharon Simmons and Dr. Adeline Deladisma of Indiana Surgical Specialists and a fellowship-trained breast surgeon. Dr. Deladisma will also be speaking at "Lunch with Friends" on Oct. 12th. Francine's Friends and V102.9 will be on the Square as well...tune in or drop in! 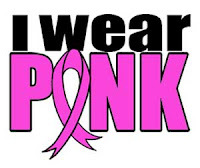 "I wear PINK" encourages women to engage in the early detection of breast cancer, thereby reducing mortality and improving the quality of life in the Fort Wayne, Indiana area. You can follow on ABC 21Alive on the 21st of each month and online at www.INCnow.tv. It is sponsored by Parkview Comprehensive Cancer Center. Click here to see photos of Francine's Friends on the Square with "I wear PINK"! WLDE - Chatting with Old and New Friends!